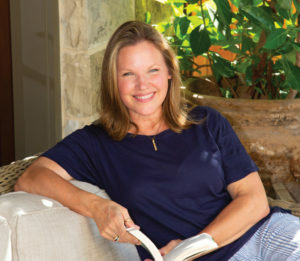 Last week, Inprint featured an interview with Houston author Chris Cander about her new novel The Weight of a Piano. Earlier this week, Chris kicked off the U.S. book tour for her new novel right here in Houston to full house audience. How exciting to see one of our very own local Houstonians kick off a nationwide tour with such success! Chris has kindly agreed to take us on the road with her. Over the next five weeks, Chris will be sharing reflections and updates from across the country as she releases The Weight of a Piano with the world. 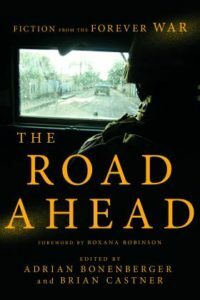 “Dispatches from Book Tour,” a blog series by Chris Cander begins here. We hope you enjoy Dispatch 1. While the whole world may look at Houston as an energy capital, a city with an internationally reputed medical center, and a champion baseball team, we at Inprint are always interested in sharing a different kind of Houston story. As demonstrated through all of Inprint’s programs, Houston is home to a bright, engaged, and thriving community of writers, writers who are publishing great books with leading U.S. publishing houses and receiving national praise. 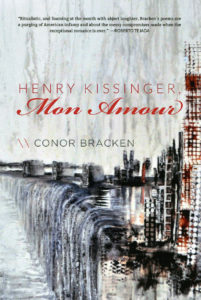 On Friday, September 22, the Houston literary community gathered at Brazos Bookstore to celebrate the release of Conor Bracken’s award-winning chapbook Henry Kissinger, Mon Amour. The manuscript was the recipient of the 2017 Frost Place Competition sponsored by Bull City Press. Bracken, a former Inprint Fellow and current Inprint Poetry Busker, is an active local writer and teacher, and the event was warm and collegial. 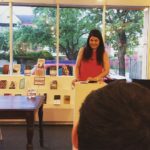 Fellow University of Houston Creative Writing Program alum Analicia Sotelo helped introduce and open for Bracken. She described Bracken’s work as interrogating “the white male situation.” Their writing shares, Sotelo says, an interest in “the subtle exploration of power play.” She proceeded to read from her own accomplished chapbook Nonstop Godhead, which includes such titles as “Apologia over Marinated Lamb” and dwells on major Hispanic modern painters such as Salvador Dali and Frida Kahlo. As many of us know, writers are the true chroniclers of our history. Through their written pieces we learn about the complexities and varied lived experiences of a particular time and place. And often times—more than facts and figures—the stories, voices, challenges, and emotions of a character or a scenario stay with us long past the written piece has ended. 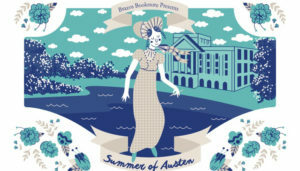 On June 9th Brazos Bookstore will kick off its Summer of Jane Austen celebration with a party and a screening of Persuasion at the Museum of Fine Arts, Houston’s Rienzi House. The screening is just one of nearly a dozen events Brazos has lined up from June through August to commemorate the ever-popular author and the 200th anniversary of her death. And, undoubtedly, Ms. Austen should be celebrated with her wonderfully mordant humor, pioneering of Realism, use of free indirect discourse, and focus on strong female characters. 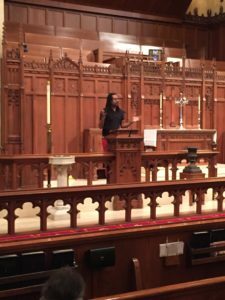 In an event co-sponsored by Brazos Bookstore and Rice University’s Humanities Research Center, National Book Award-winning author of The Underground Railroad, Colson Whitehead, delivered a compelling and improvisational talk on Tuesday, March 21 at St. Paul’s United Methodist Church in the Museum District. After taking an audibly refreshing sip of water, Colson Whitehead launched into a familiar bit. “I was born of poor black child…” he began. The few nerds that instantly recognized the introductory soliloquy from Steve Martin’s cult classic The Jerk knew we were in for a wild ride. He vividly described his childhood in Manhattan, jokingly referring to himself as “a shut-in reading comic books.” From a relatively early age he knew he wanted to be a writer, and more specifically, “to write the black Shining.” His continued devotion to science fiction and horror, among the other genre writing, signals his crossover appeal. This week we talked to poet, Inprint blogger, and University of Houston Creative Program graduate student Erika Jo Brown about Gulf Coast: A Journal of Literature & Fine Arts’ 30th anniversary celebration coming up Saturday, January 21, 7 pm, Lawndale Art Center, 4912 Main Street. 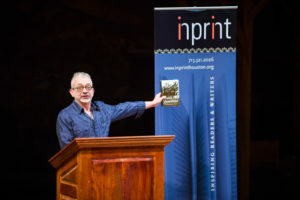 Since its inception, Inprint has been proud to support Gulf Coast, one of the nation’s reputed literary journals, which also holds readings and other activities. INPRINT: Congratulations on 30 years! For our readers that do not know a lot about Gulf Coast, please tell us about the journal, the organization, and all of the things you do. As 2016 comes to close, Inprint marvels at all the wonderful literary events that took place over the fall months. 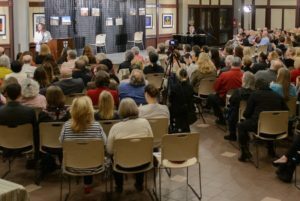 In November, Brazos Bookstore hosted a reading by poet Sharon Olds. Olds was scheduled to appear in the 2015/2016 Inprint Margarett Root Brown Reading Series with poet and University of Houston Creative Writing Program faculty member Tony Hoagland. Due to the Tax Day Flood in April, the reading had to be cancelled. 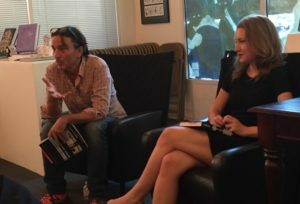 A video was made that day during a break in the rain, featuring a reading and conversation between Olds and Hoagland, and Houston poet Martha Serpas in a private home. You can watch that reading here as part of the Inprint Archive of Readings. We were thrilled that Sharon Olds made it back to Houston this fall via Brazos Bookstore so her fans could see her in real time. 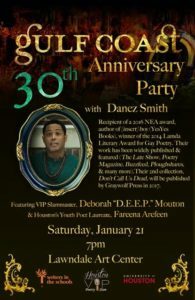 Here Inprint blogger Erika Jo Brown tells us about this memorable evening. 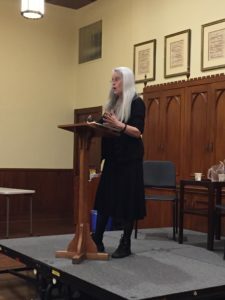 Appropriately, Sharon Olds’ reading at Christ Church Cathedral was preceded by the choir practice of tweens. Olds is revered—and occasionally controversial—for her delicate and unconventional poems about female sexual awakening and motherhood, among other topics. On November 21st, the Alley Theatre was already decked for the holidays. A grove of themed trees in the lobby welcomed the Inprint Margaret Root Brown Reading Series for the final performance of the year. Inside, Rabih Alameddine and Juan Gabriel Vásquez read from their novels on the dormant set of A Christmas Carol, and artificial flurries escaped from their rigging throughout.